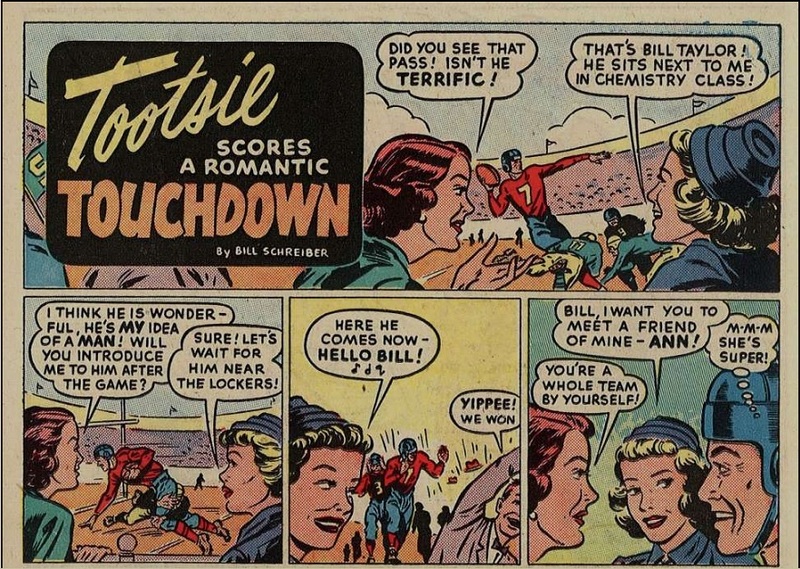 This particular ad for Tootsie Rolls appeared in the comics in 1950. It’s another example of a comic used as an ad. 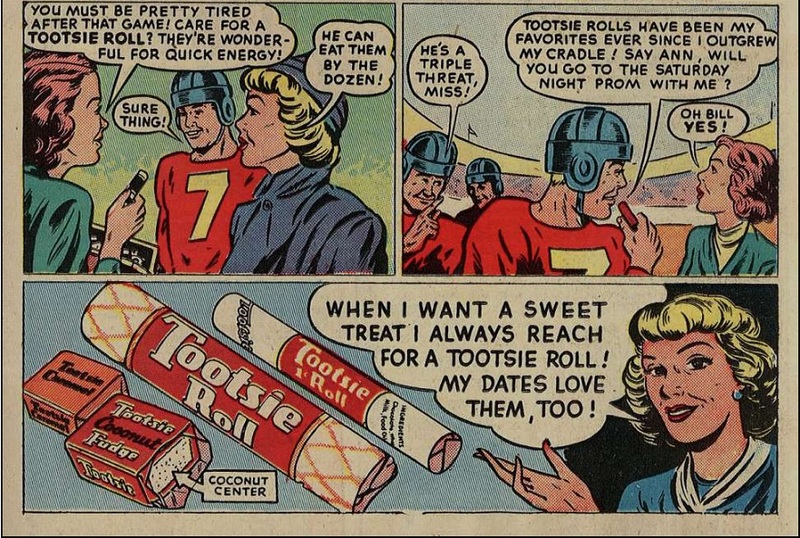 Tootsie rolls were very popular in the 50-60s when I was younger and are still being sold today. A small Tootsie Roll (“Midgee”). 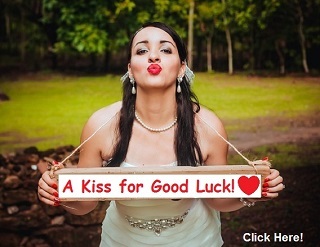 Photo by Evan-Amos, License: SA-CC-3.0. Tootsie is a brand of chewy candy that has been manufactured in the United States since 1896. The manufacturer, Tootsie Roll Industries, is based in Chicago, Illinois. It was the first penny candy to be individually wrapped. Tootsie Rolls have been introduced to Canada, Mexico, Ireland, Aruba, United Kingdom, Portugal, Spain, France, Italy, and many other countries.